Siblings Eliza, Elizabeth, Fidelia and Henry were left as orphans; they auctioned off the family furniture and moved to a smaller house. Eliza, the oldest at the age of twenty-four, supported her younger brother and sisters by working as a schoolteacher. Deeply affected by the family tragedy, Fidelia fell ill and during her recovery spent her time in bed drawing. 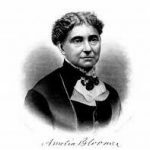 During the late 1840s Anne Whitney, who later became a noted sculptor, opened an art school in Salem. Fidelia befriended Whitney, who would become an acclaimed artist who designed the sculpture of Samuel Adams in Boston’s Dock Square. Whitney encouraged Fidelia to pursue her art. 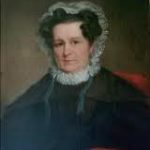 As Fidelia’s health improved, she worked as a mother’s helper to the children of William Augustus Brown, a successful ship owner and merchant. In 1854 Brown moved his family and Fidelia to Brooklyn, New York; the Bridges siblings followed her. While continuing to care for the growing Brown family, Fidelia also pursued her art and produced several oil paintings. In 1860 Fidelia attended a series of lectures by William Trost Richards, who was well-known for his realistic paintings of the White Mountains. Through Anne Whitney, Fidelia became personal friends with Richards and his family and accompanied them on painting vacations. Richards’ Pre-Raphaelite Approach focused on detail, which was a major influence on Fidelia’s art. He also sold some of her paintings to his patrons. It is the unaffected expression of a great joy in the beauty of nature – a joy which is after all the fountain of all that is finest in art; and one could not see the rich treasures of Miss Bridges’ portfolios of studies without feeling this. In 1865 Fidelia returned to Brooklyn and transformed the top floor of the Browns’ house into a studio which she shared with Anne Whitney and her companion Adeline Manning who lived and worked there. With financial assistance from the Browns, Fidelia studied art in Rome, Italy for a year. American artists were forced to go to Europe to study great works of art abroad because there were no public collections in the United States. 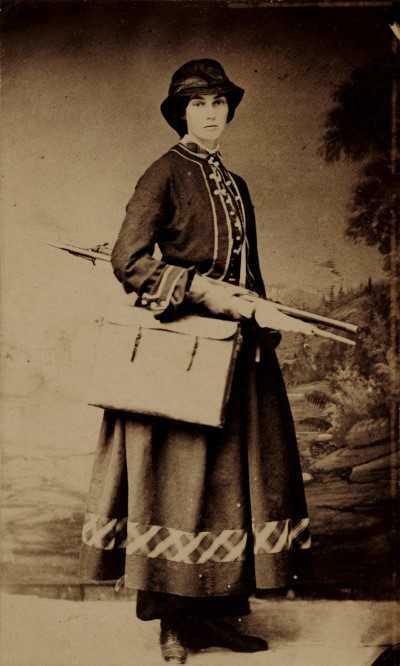 Fidelia traveled with Whitney and Manning, who were part of actress Charlotte Cushman‘s circle of American women who were also studying there. As her art developed, Fidelia focused more narrowly on detailed scenes of flowers and birds and switched from oil to watercolor. She returned to the United States in 1868 and exhibited her renditions of flowers and birds at the National Academy of Design in New York City, where she was elected as an associate in 1873. 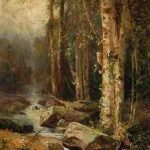 Her reputation as a specialist painter of nature gained her membership in the American Watercolor Society in 1874; she was the only female member at that time. By 1871, Fidelia Bridges had made her first visit to Stratford, Connecticut. Located on the Long Island Sound, Stratford was accessible to New York City by train. On the New England shore, she discovered the unique habitat of the coastal grasslands, which hosted a rare combination of wildflowers and birds. The watercolors she created during the next five summers there show her development of a signature subject. In 1876 she sold paintings to Louis Prang, who reproduced them as part of a book of months enhancing Fidelia’s reputation. In 1881 she entered Prang’s Annual Christmas card design contest and was chosen as a designer. She continued to design Christmas cards until 1899. Fidelia did not enjoy exhibiting her art but preferred to sell to a small circle of patrons such as Prang and Mark Twain. This lack of exhibitions kept her from achieving the stature of other artists. 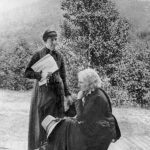 In 1883, she took a break from painting and accepted an offer to serve as a nanny to Mark Twain’s three daughters while their governess was in Europe. By 1890 she was living in Stratford, Connecticut, where the marshes and meadows along the Housatonic River inspired her. She painted some of her best works there. Two years later, she moved to Canaan, Connecticut, where she lived in a small hillside cottage overlooking a meadow and a stream. She continued to paint but rarely exhibited her work. She settled into a quiet rural life and frequently socialized with a circle of female friends. She soon became a familiar village figure, tall, elegant, beautiful even in her sixties, her hair swept back, her attire always formal, even when sketching in the fields or riding her bicycle through town. Her life was quiet and unostentatious, her friends unmarried ladies of refinement … whom she joined for woodland picnics and afternoon teas. Fidelia Bridges died May 14, 1923 and was buried in the Mountain View Cemetery in Canaan. For years afterward, her friends put wildflowers on her grave on Memorial Day; the townspeople dedicated a bird sanctuary in her honor, but she was largely forgotten by the art world after her death. Today Fidelia’s works can be seen at the Metropolitan Museum of Art, New Britain Museum of American Art, Peabody Essex Museum and the Wadsworth Atheneum Museum of Art. 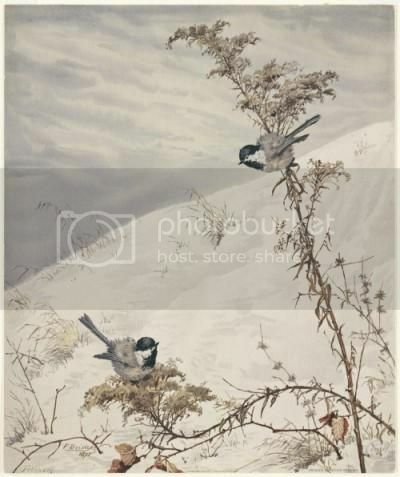 The Smithsonian has several of her works and lists her as one of the very few woman artists who had a successful career in the 19th century, and she remains one of America’s leading watercolorists.